Allstate Arena didn’t know what was coming. Country rocker Keith Urban’s ninth album, Ripcord, was released in May of this year, and the tour in support of it is still circling the globe. With Brett Eldredge and Maren Morris opening for him in North America, and Carrie Underwood joining the tour in both Urban's homeland of Australia as well as in New Zealand, the Miranda Lambert collaborator will undoubtedly be ending the year on a high note. But before heading Down Under, the “Cop Car” singer performed a concert in Rosemont, Illinois. 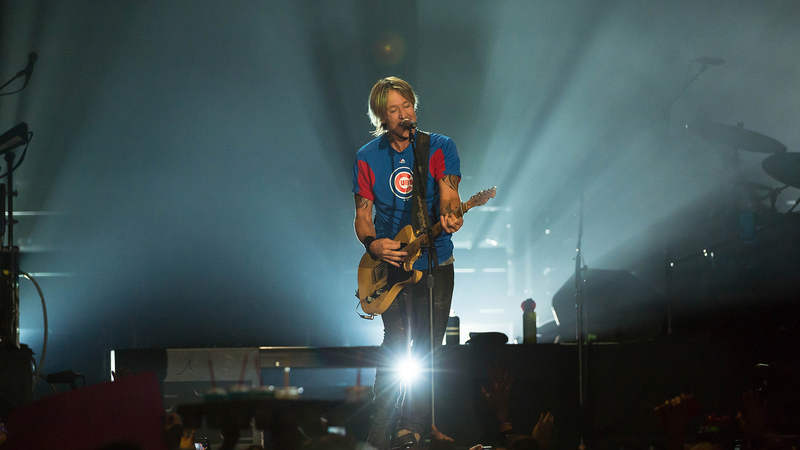 Sporting a Cubs T-shirt to support Chicago’s newly crowned World Series champs, Urban filled the Allstate Arena with new songs like “Gone Tomorrow (Here Today)” and “Gettin’ in the Way.” He brought out his old hits too, because what’s a Keith Urban show without “Raise ‘Em Up”? Check out the photos below, and then track Keith Urban on Bandsintown to see when you can catch his next show!